Today is Nation Biscuit Day, I love nothing more than a cup of tea and a biscuit. 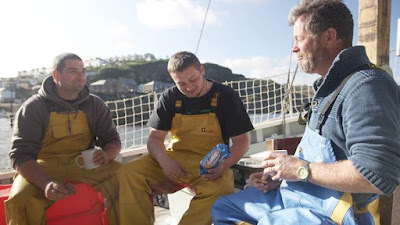 To celebrate this day the number one biscuit maker in the UK McVities shows how the simple act of sharing a biscuit has the power to bring people closer together, as often seen in workplaces up and down the country. Nearly half (42%) of British workers say sharing biscuits with colleagues makes them feel happier, with over a quarter (27%) saying it helped them build a stronger connection with a colleague. Teachers topped the list with the majority (54%) saying they felt happy after sharing a biscuit moment with fellow colleagues, followed by the IT sector (48%), while over a quarter (28%) of business managers admitted it helped them to feel more connected to their colleagues. The benefits of sharing biscuits with colleagues do not stop there. 42 percent of British workers said they use sharing biscuits as an opportunity to catch up with colleagues, nearly a fifth (19%) say it helps to break the ice and make new friends at work, while seven percent use them as an excuse to chat up someone they fancy in the office. Moreover, 19 percent believe sharing biscuits at work has made them more popular with colleagues, helped them get a promotion (10%) and even helped them get a romantic date with a colleague (10%). Biscuits were also revealed to be a key motivator for UK workers, with 40 percent believing they ‘help lift the mood’, and a further one in six (17%) citing that serving biscuits helped increase productivity in meetings. According to the research, people in social care are the biggest biscuit sharers at work (96%), followed by accountants (91%) and teachers (91%). However, some workforces love their biscuits so much, they just can’t bear to share them, with over a third (37%) of British workers confessing to going to great lengths to keeping them all for themselves. More than a quarter (27%) of construction workers have eaten biscuits in their car so colleagues wouldn’t see, 17 percent of IT workers confess to eating biscuits on the sly, and a fifth (19%) working in hospitality and entertainment admit to hiding away in the company loo so they can enjoy their favourite biscuit in secret! So, what does the nation’s workforce talk about when catching up over a biscuit? Over a third (36%) chat about office gossip, 32 percent say it’s mostly last night’s telly, 28 percent use it as an opportunity to talk sport, while nearly a quarter (23%) cite confiding in a colleague about their relationship. To encourage British workers to share biscuits with their colleagues and facilitate sweeter connections in the workplace, McVitie’s is delivering free biscuits to hundreds of workers across the UK for National Biscuit Day. British workers can enter a Twitter competition today to surprise their colleagues with biscuits, delivered especially by McVitie’s. Visit @McVities on Twitter for a chance to win free biscuits for you and your colleagues this National Biscuit Day.